Disclosure: This is a sponsored post on behalf of Coyuchi; all opinions expressed are my own. What if I told you there was a Netlfix but for linens? Yes, it now exists thanks to Coyuchi. I was first introduced to Coyuchi at my first W.E.L.L. Summit where I attended a session led by CEO Eileen Mockus on creating an ethical and sustainable home. Now more than ever with climate change being a worldwide topic, this is critical so I was thrilled to learn about Coyuchi's efforts to continue this initiative. A leader in natural and organic home linens for 25 years, Coyuchi created 'Coyuchi for Life,' a first-of-its-kind subscription service for environmentally sustainable and organic sheets, towels, and duvet covers provides a subscription service to rotate your linens on intervals from 6, 12 or 24 months starting as low as $5/month for towels or $7/month for sheets and duvets. Another bonus? Coyuchi is GOTS-certified—the highest organic standard for cotton, all over the world. Our family is in the throes of guest season and potty training Grayson which means we're nearly drowning in the constant flow of laundering linens so this is such an amazing service especially for families. 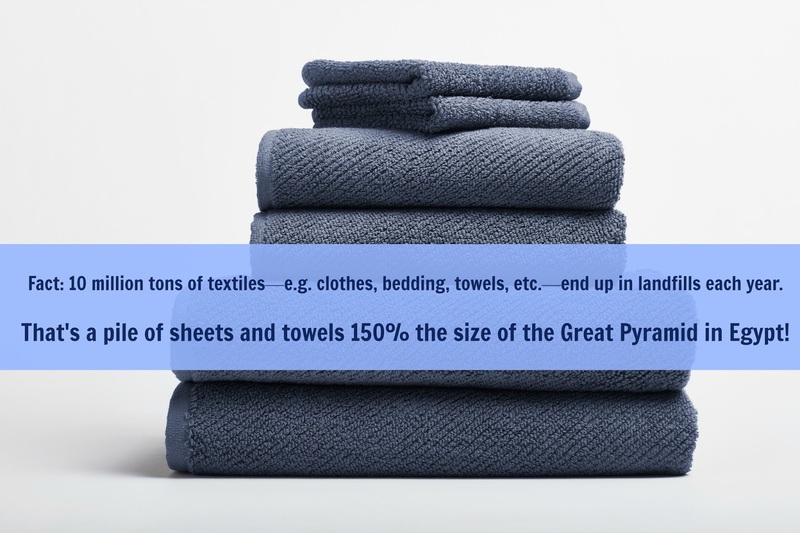 We usually use our towels and bedding until they're threadbare and sadly many end up in the trash. I was surprised to learn how this quickly this adds up. I definitely don't want my family being a part of that problem. 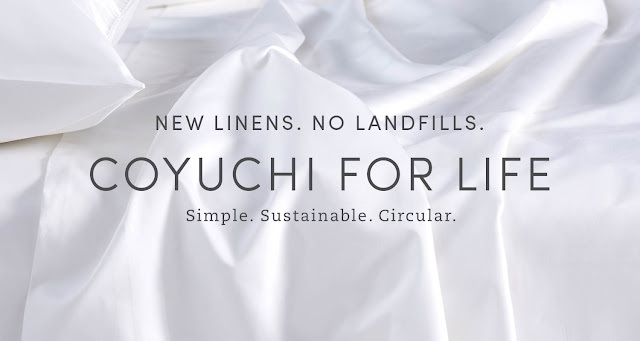 When you're done with your linens simply send them back to Coyuchi for recycling all for the price of roughly a Netflix subscription plus the peace of mind that you're looking out for future generations. Curious about getting started with Coyuchi for Life? Visit their website here and be sure to check out them out on Facebook, Twitter, and Instagram too. What happens to your linens when your family's done with them? 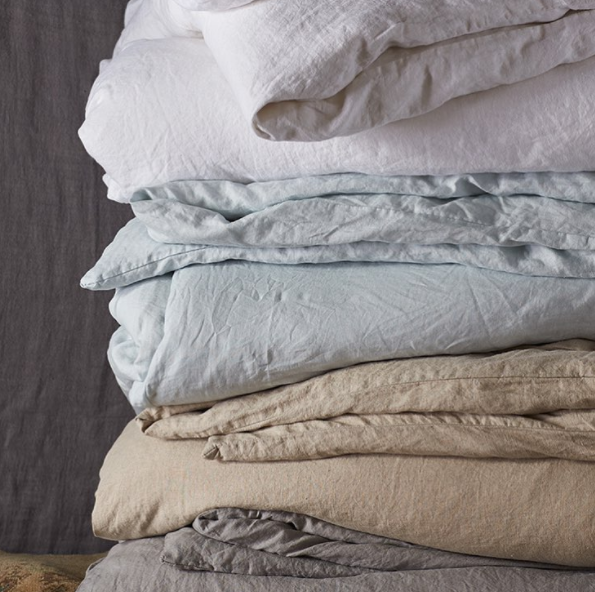 Would a subscription linens service work for your family?